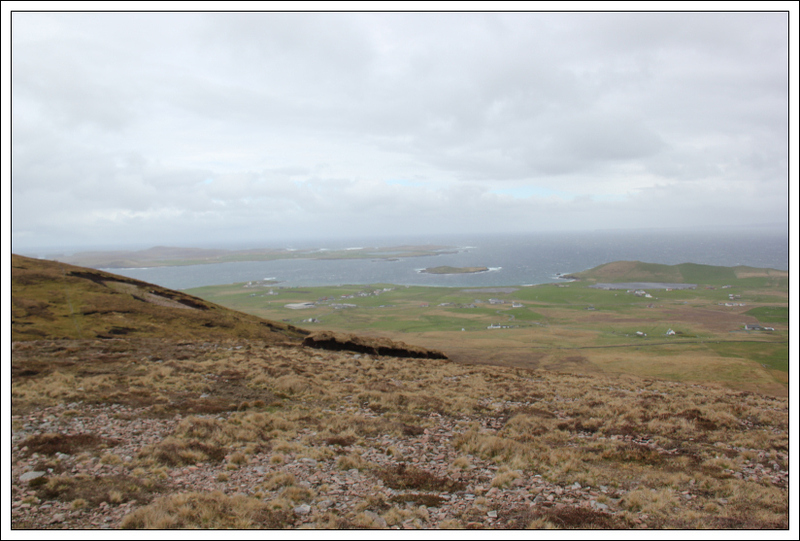 Today we were booked to fly to Fair Isle. Unfortunately, the flight was cancelled due to gale-force winds . 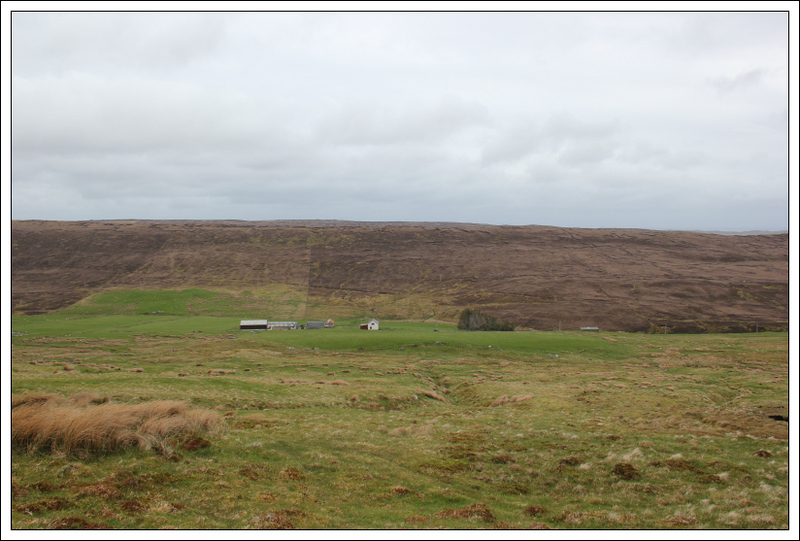 Instead, we opted to complete our final two Shetland mainland Marilyns – Sandness Hill and Scalla Field. 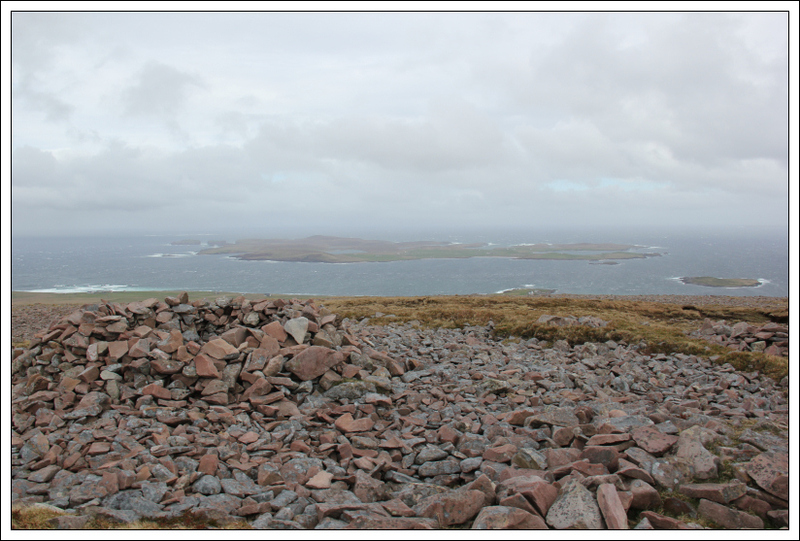 I had little enthusiasm today for ascending another two uninteresting Shetland mainland Marilyns. 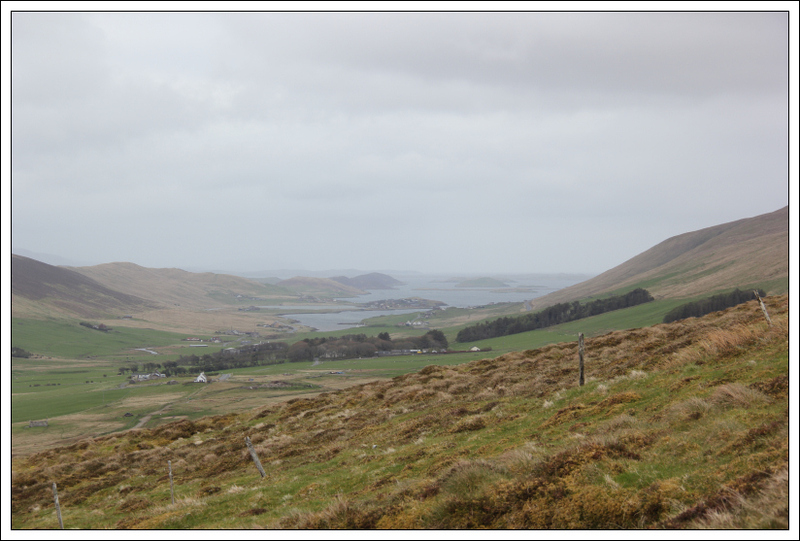 We chose Turrifield as the starting point to take advantage of a track leading up to the small transmitter en-route to Sandness Hill. 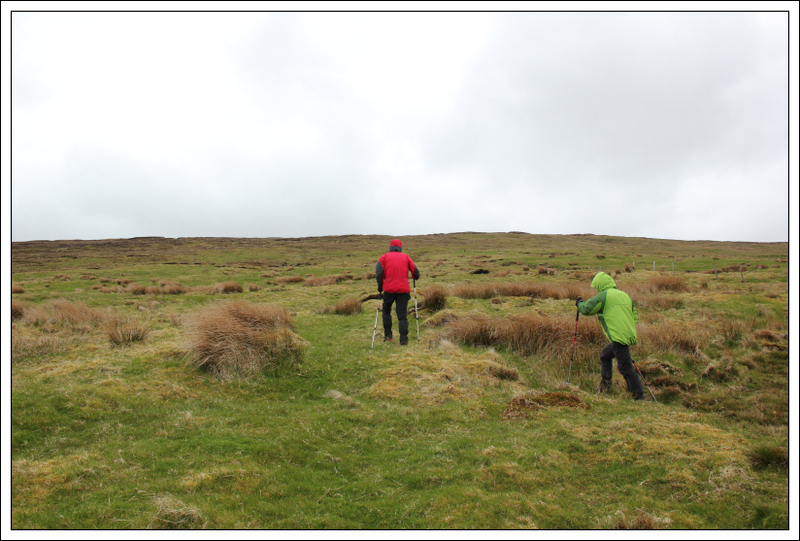 Once beyond the small transmitter we were pleased to find that the track continued on for quite some distance beyond what was shown on the map. It was very windy today. 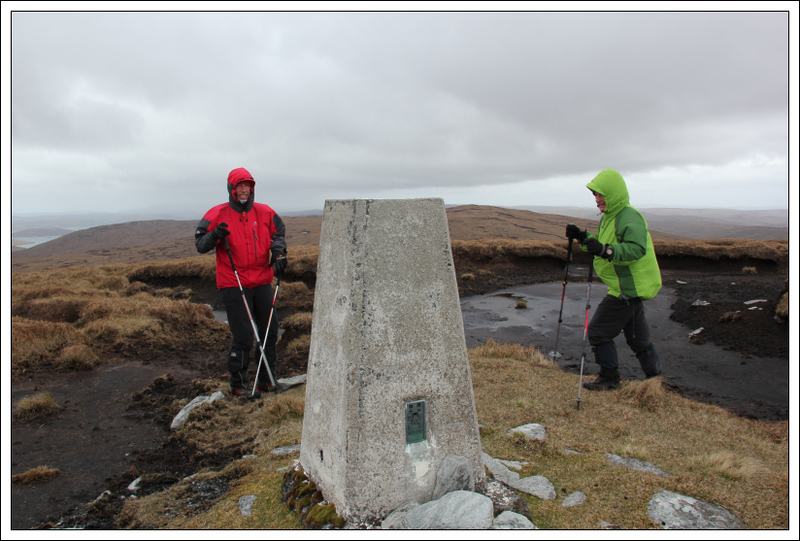 Fortunately we had the wind at our backs during the ascent. Looking back towards the Sound of Papa, the sea looked fairly rough. My lack of enthusiasm today definitely slowed me down. 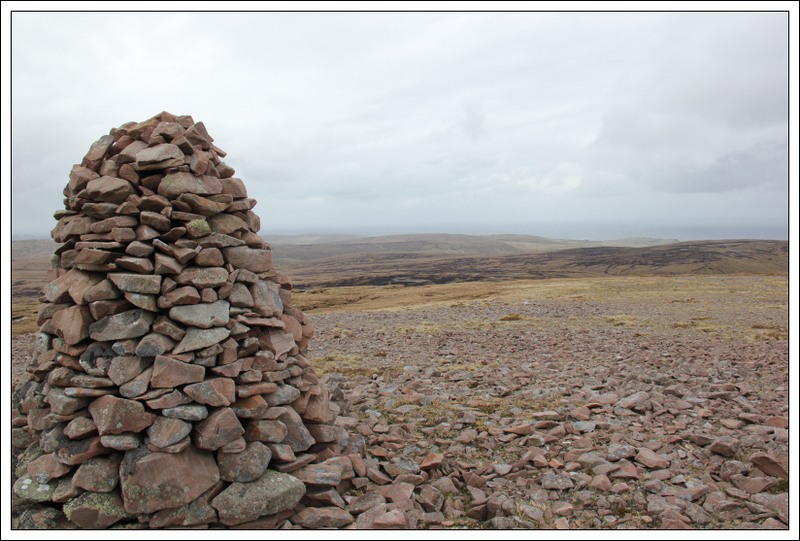 I was however pleased to reach the summit. 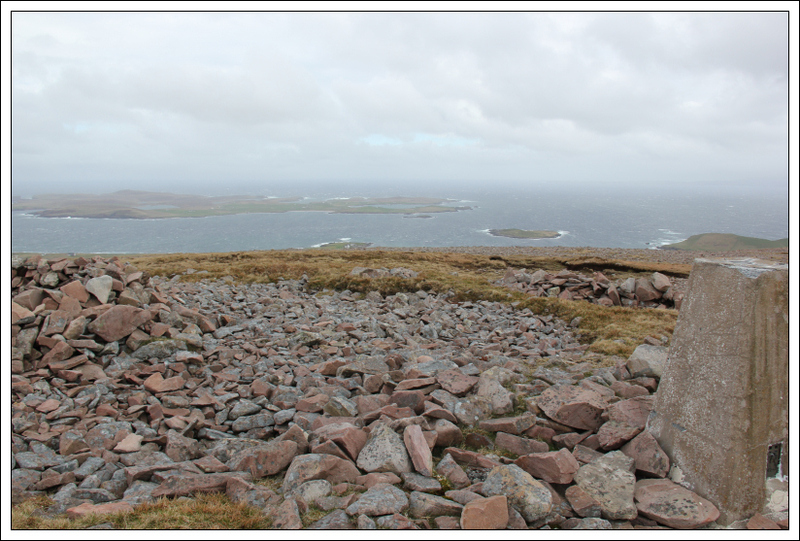 I visited the large cairn and then the trig point. 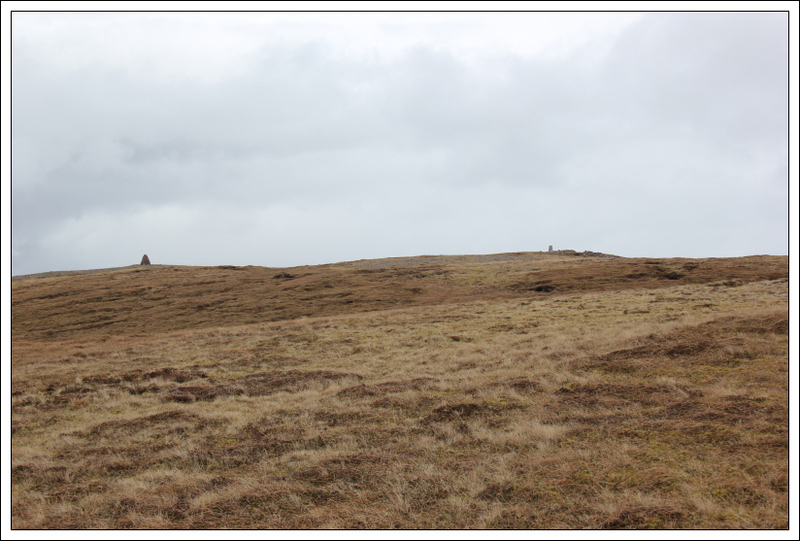 The 246m top would be a good viewpoint for Foula on a good day. As today was not a good day, I didn’t bother visiting the lower top. During the walk back we passed an old VW engine and axle. I have no idea what kind of vehicle this once belonged to. 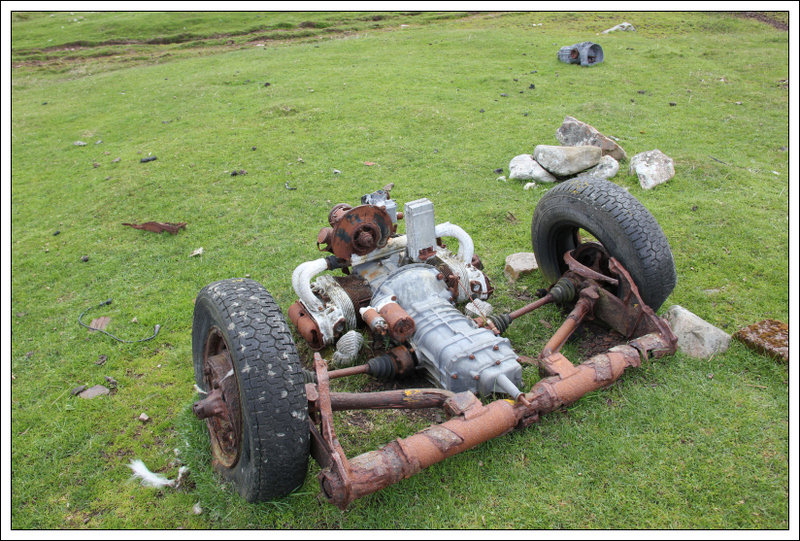 There would appear to be quite a number of old cars and vehicles on Shetland which are just left to rust. 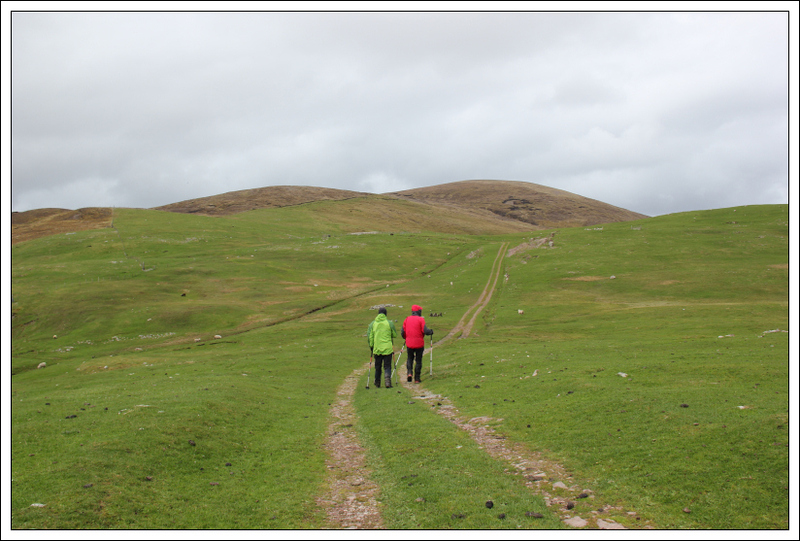 After ascending Sandness Hill we drove to Upper Kergord for an ascent of Scalla Field, our final mainland Shetland Marilyn. The ascent of Scalla Field was trackless. We just headed uphill in the direction of the summit until there was no more “going up”, which is generally a good plan . 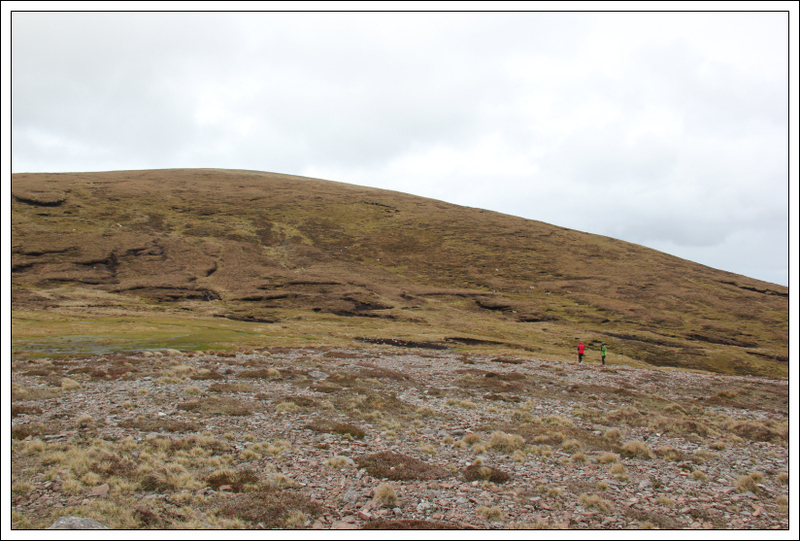 The ascent of the hill was not as bad as expected. 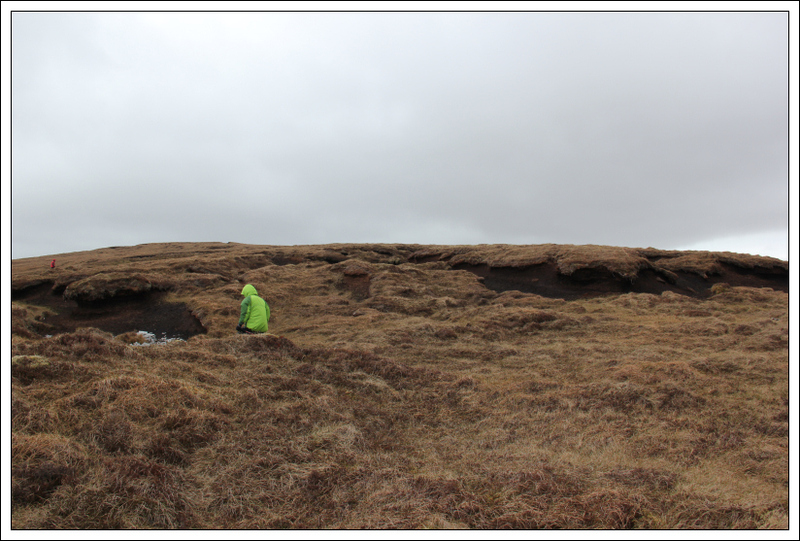 The final section of peat hags was easy to negotiate. 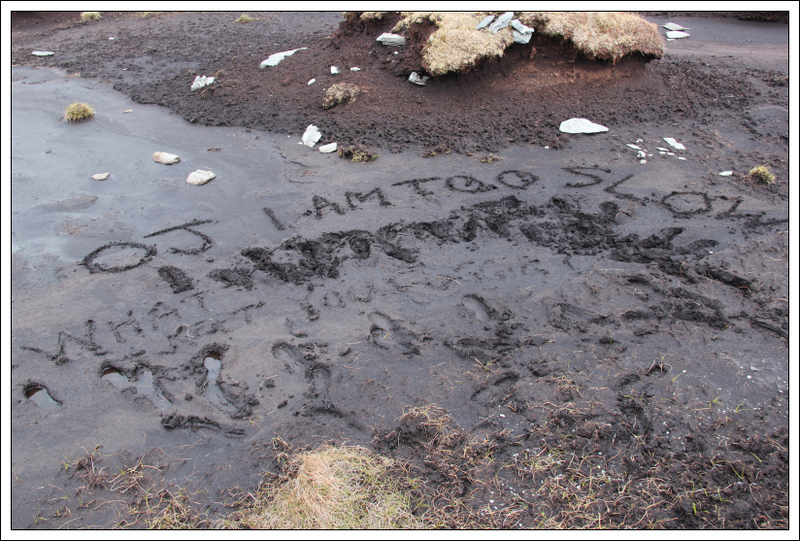 On reaching the summit we saw the message that had been left by Alan (OJ) a few days previous “What kept you Foggie? 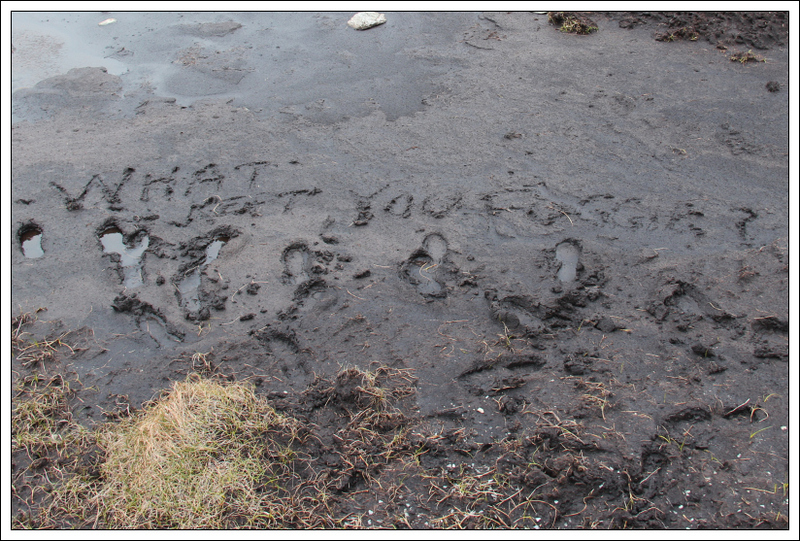 I responded via PMS (Peat Messaging System). From the summit we returned to the car via roughly the same route. 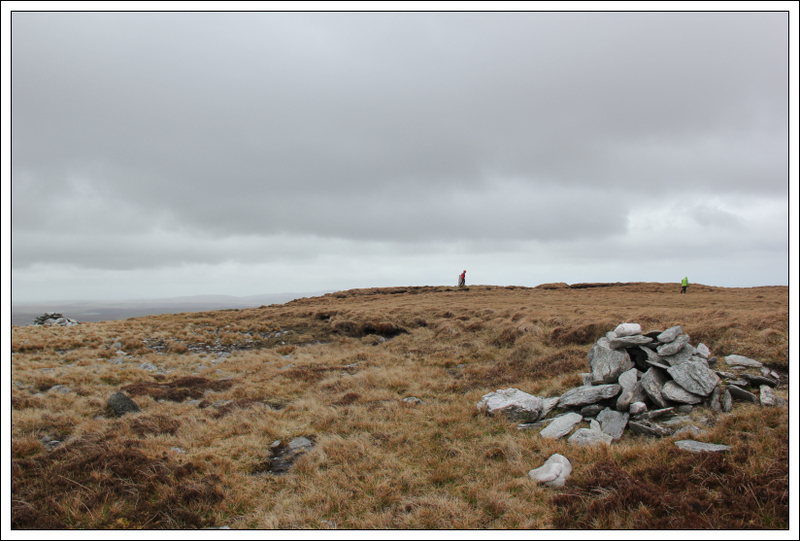 It was great to finish nice and early and have the afternoon off hillwalking .